We love to travel, evidently from the number of flights J has taken since he was born. About 11 times already? I know... kids these days are so lucky right? I also say. 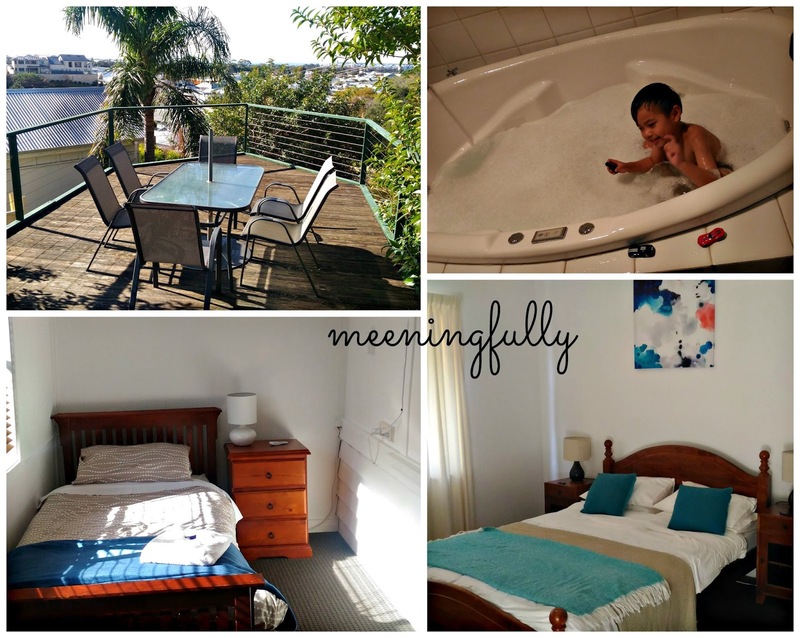 While we love to travel, we always try to keep our travels pocket friendly, and I tend to take my time to research the accommodation that's most suited for us, a family with a young kid (and sometimes with 2 old folks). When J was younger, we prefer 4 to 5 star establishments that's full service so we get access to food and all other amenities with ease. Now that he is older, we go for space since we do stay indoors quite a bit while on holiday plus we often pack food back for our meals, more so when we travel with nai nai and grandma. During our last trip to Perth, I actually booked serviced apartments on booking.com, those popular chained ones. They were really my preferred choice because at least if we needed help in a foreign country, it would be easy to look for help from the staff at the establishment. Then again, in Perth, many serviced apartments are costly to rent and some, especially those in the city can be slightly dated. That got me searching online on AirBnb. I was cautious, yet excited at the same time. Since I used to live in Perth some 16 years ago, I felt relatively confident of making a right choice. And, the right choice we made. We were in Perth for 6 days, with 2 nights at Bunbury and the other 3 nights in Perth. 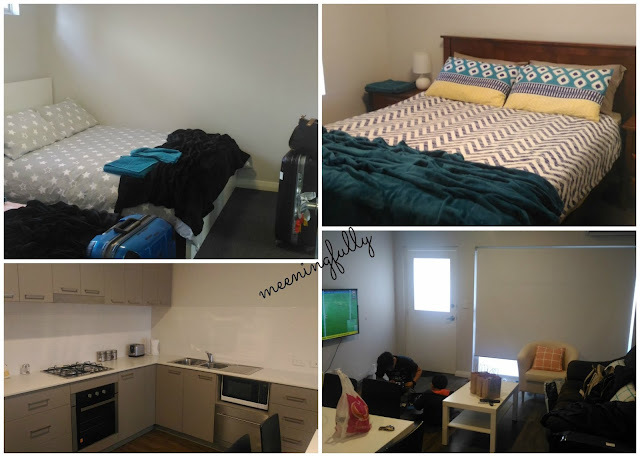 We had a 2 nights stay at this clean and new 2 bedroom house at Burswood, Perth. 20 min away from the airport, conveniently located 2 mins drive away from Victoria Park. I picked this place because I was familiar with Victoria Park and the owner has hosted many Singaporeans and Malaysians. 1) Research on where the popular areas tourists love to stay at if you want to ensure you are not too far from sights and amenities. Very much like researching for a hotel to stay in, you really want to ensure the location of the house you are putting up at fits into your itinerary and help is easily accessible given that this is not a hotel and there will not be any front desk to attend to you needs. Of course, different locations will give you a different experience. Airbnb places can range from the super luxurious to the super basic and what you pay is really what you get although there may be some nice surprises here and there. 3) Do not expect hotel experience. There will not be anyone to make up your room unless you pay extra. And, you are expected to leave the house the way you found it to ensure you get a good rating as a guests. Airbnb is a marketplace where word of mouth can work in your favour or against you whether you are the host of the guest. Any decent hosts would obviously want to have considerate people bunking at their place which is a source of income for them. Conversely, that respect should be returned too. 4) Read up comments about your shortlisted units and the hosts. Personally, I feel more at ease if there are reviews from guests from this part of the world especially Singaporeans. Well, in all honesty, we are such a hard bunch to please. So, seeing a positive review from Singaporeans is likely to hint a well received apartment. Do also ensure that the hosts are all verified before booking with them. When a host is airbnb verified, it usually means they are real people who exist, safeguarding you against most promises made by them. Generally, homes or apartments with a lot of rules tend to indicate the state of the place you are about to rent as it gives a hint on how particular the hosts is. And, as mentioned in point 3), always observe the rules so you get a good rating on Airbnb too! Just a few pictures of the house. It has 4 bedrooms, hence enough for all of us. Bunbury was a great base for us to explore Margaret River, Dunsborough and Busselton areas. Airbnb apartments / houses are really a great way to explore a country, especially if you are keen to experience how the locals live. What's available out there gives you a very varied experience. So, brave yourselves and give it a try!